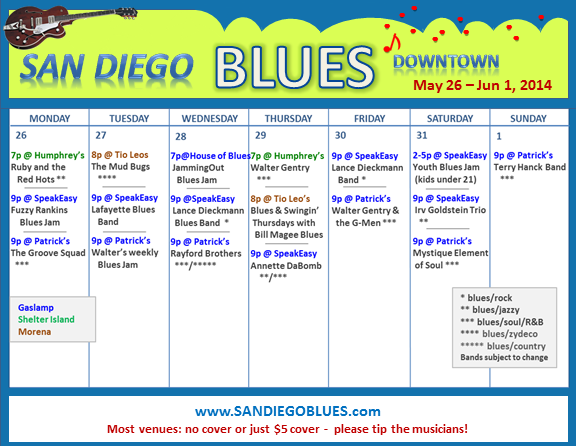 Memorial Day kicks off another full week of blues around town. 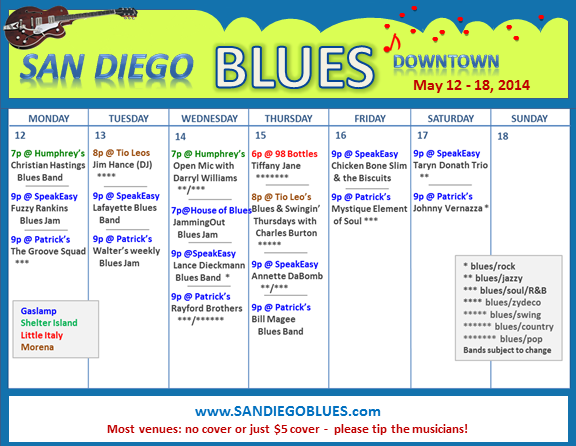 This week most of the live blues is at the Gaslamp SpeakEasy, Patrick’s Pub and Humphrey’s Backstage Lounge. So it’s a bit light, but still lots of good music every single night. 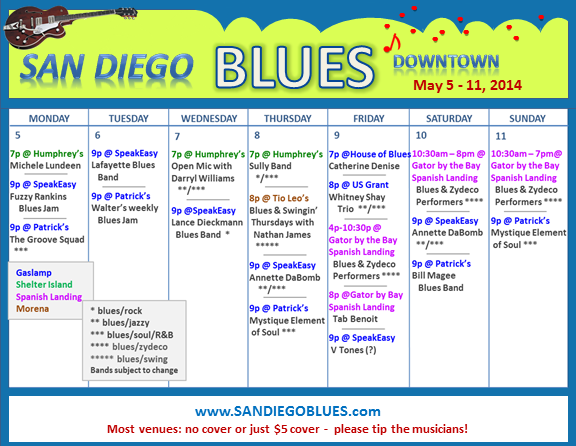 At JammingOut at HOB this Wednesday there will be a local featured band, as they do now the last Wednesday of the month. This time it is Bi-Polar Express, who is also playing at the Harley Davidson in Little Italy next Saturday from noon-1:30. 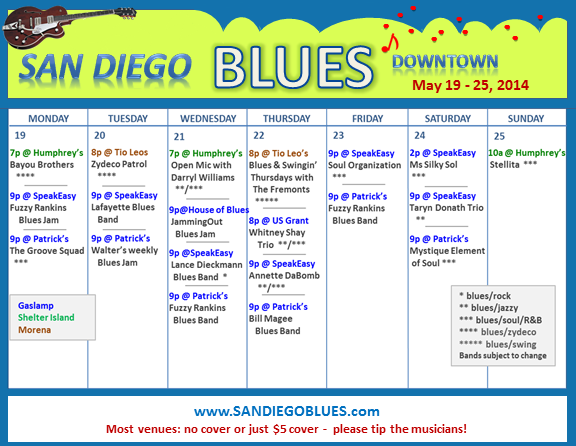 And we have a band coming in from out of town on Sunday night, the Terry Hanck band (Terry plays sax) – based out of San Francisco, which will be playing at Patrick’s. They won the blues category in the International Songwriting Competition last year and are now back out on tour. I checked out their website, and they sound great!